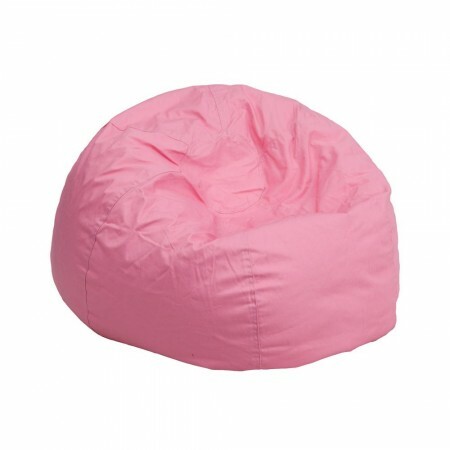 A great addition to your family room or child's bedroom, the Flash Furniture Solid Light Pink Small Kids Bean Bag Chair is an excellent seating option. This bean bag chair is filled with durable beans which conform to your child's body for ultimate comfort and its cotton-twill upholstery provides extra softness. Designed with a removable slip cover, this bean bag chair can be machine washed or spot cleaned with a damp cloth and it comes with a safety metal zipper to secure the beads.